Gail's love of harmony sparked her dream to bring us all together. So we journeyed to Midpines to give birth to our songs, likely having no idea how many musical midwives would be holding such supportive space for us. We were blessed with truly gifted teachers ~ and each and every one of you! 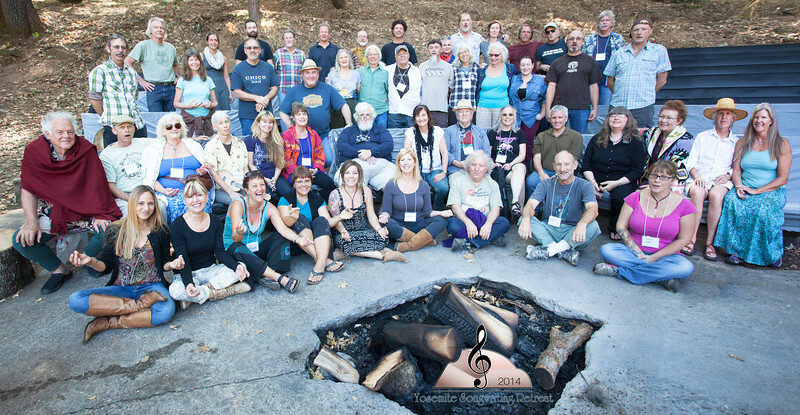 The musical collaboration in the classrooms, on stage, in the trees and parking lots - mirrored how true communities can arise, beyond egoic hierarchies. I hope these photos evoke a bit of the magic we all felt and hopefully will keep the flame of creativity and community alive in your hearts, until the next time "Gail makes us come"!